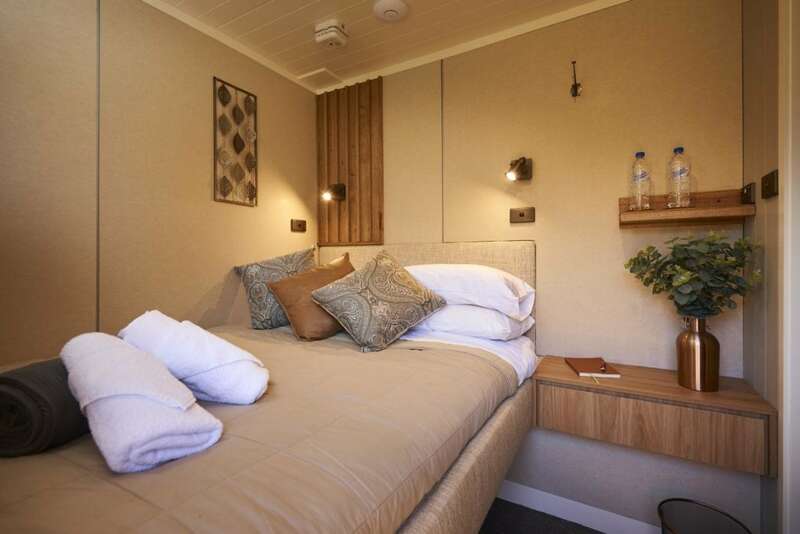 A relaxing weekend cruising on the NEW and beautifully appointed cabins of the famous PS Emmylou along the mighty Murray River. The charming PS Emmylou is one of only 5 wood fired paddlesteamers left in the world making the experience a unique Australian excursion. 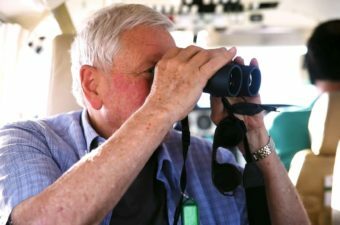 In this all-inclusive tour, fly from Melbourne directly to Brown Brother’s private air strip in Milawa aboard our luxury twin engine aircraft. Take a behind the scenes tour and a private guided wine tasting before a delicious two course lunch with matched wines. 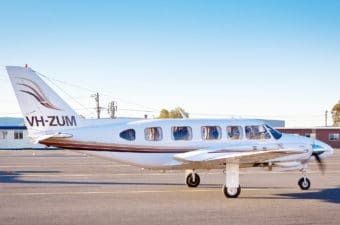 Mid-afternoon fly on to Echuca and transfer to the PS Emmylou for a one night cruise in an upper deck, deluxe ensuite cabin. 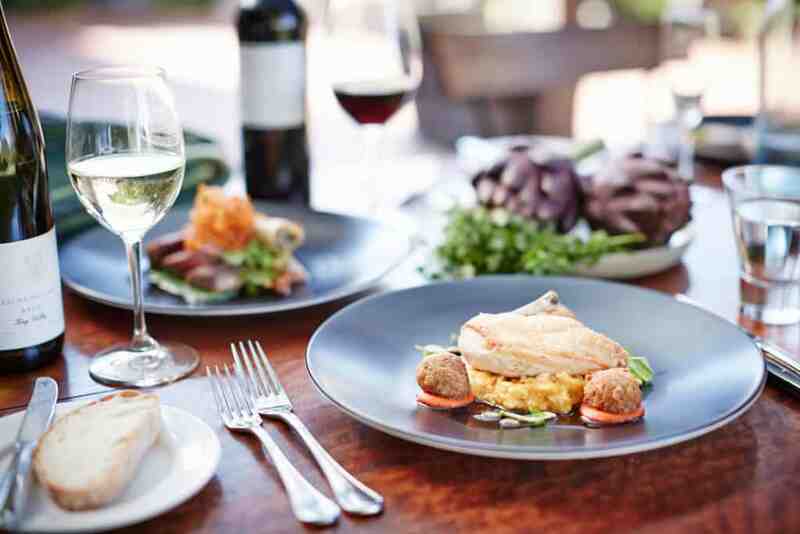 Savour a regional inspired 5 course dinner and relax as the scenery of the Murray River glides by. On Day 2, board the PS Canberra or Pride of the Murray to Morrisons Riverview Winery for another fine 2 course lunch. 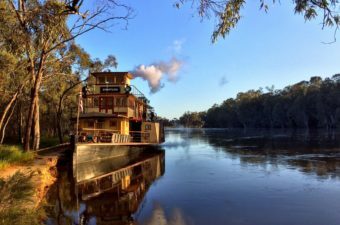 Cruise back to Echuca for the return flight to Melbourne completing a stunning and delicious weekend break. Meet your highly experienced pilot and tour manager in the Kirkhope Aviation departure lounge, at 9.30am. 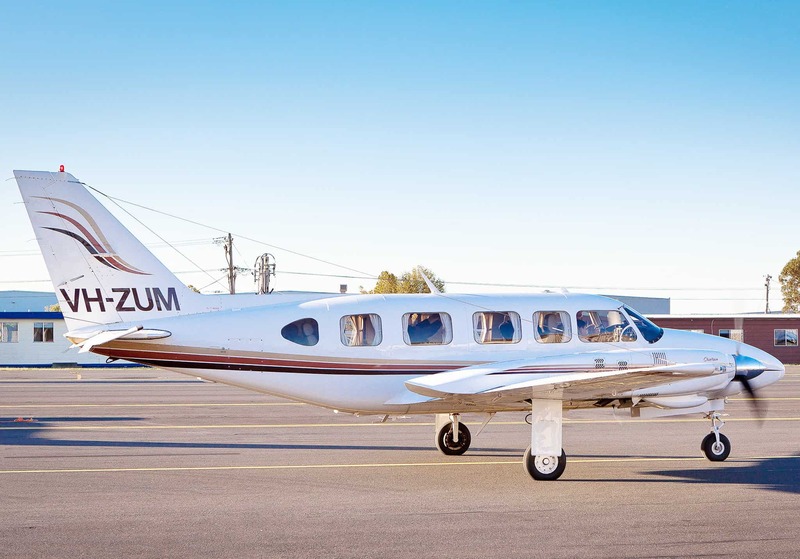 Fly to Brown Brothers, Milawa, in our comfortable twin engine Chieftain with large viewing windows, landing at their private airstrip. Marvel at the beautiful scenery of the Yarra Ranges and spot Lake Eildon as you fly. Take a behind the scenes tour including the Family Cellar where you will learn about the process involved in making their wines and discover the rich history of the Brown family, followed by a private guided wine tasting. (NB all guests are required to wear enclosed shoes.) A delicious 2 course lunch with matching wines will be served at the winery’s award winning Patricia’s Table restaurant. Then reboard your aircraft for the flight to Echuca. Transfer to the PS Emmylou for your overnight luxury cruise. 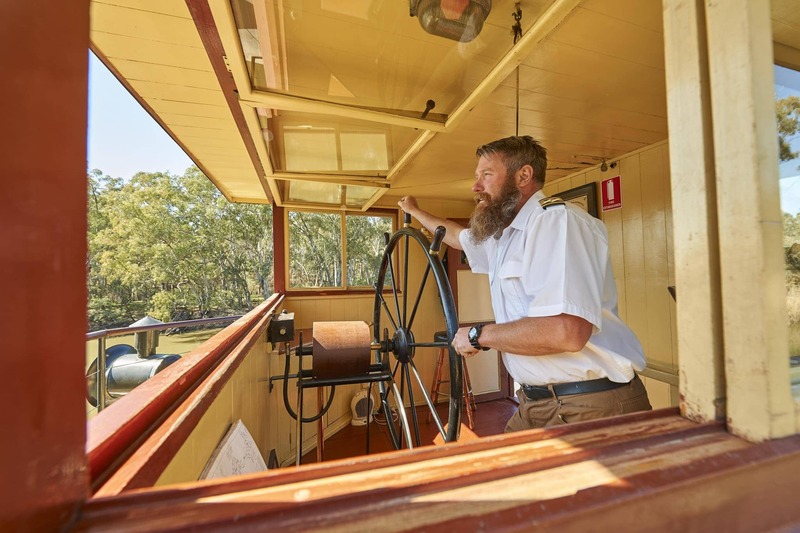 Make yourself comfortable in your cabin and enjoy a scenic evening cruise along the Murray with a great variety of Australian wildlife with the riverbank lit up by powerful spotlights. The on-board chef will prepare you a sumptuous dinner sourced from fine local ingredients. Head back down stream past the imposing Echuca Wharf lit up for the evening with its other paddlesteamers moored for the night. Continue downstream to Layfield Lane, the nights mooring. Sit around the campfire with a beverage and roast marshmallows before retiring for the night. Wake to a full cooked breakfast or enjoy after a bush walk if you are an early riser. 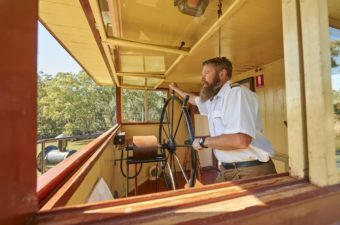 Head back to Echuca where you will disembark and have some time to wander the shops in town or perhaps visit the Port of Echuca Discovery Centre. Late morning board another Paddlesteamer for a cruise to Morrisons Winery located on the banks of the Murray with 15 acres of vines and terrific views of the River. 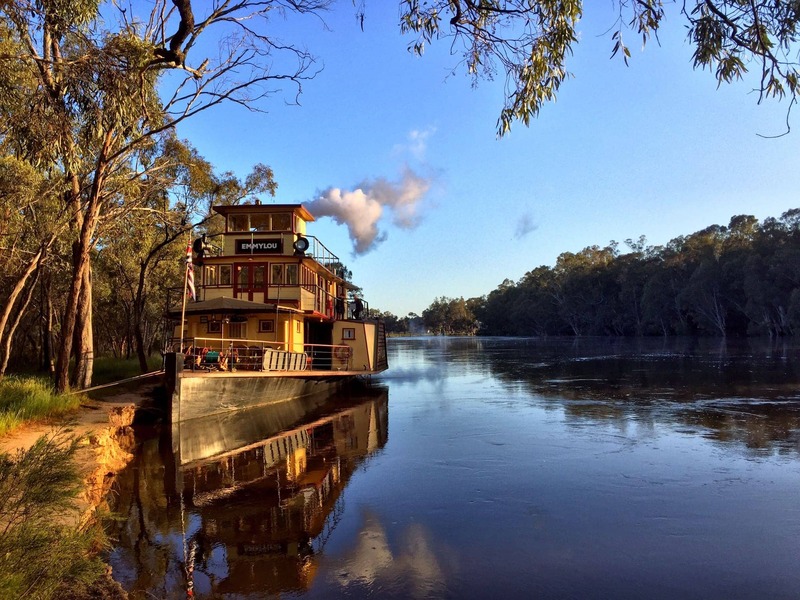 Following a lunch with one of their fine wines, casually return to the paddlesteamer for a serene cruise back to Echuca. A scenic return flight to Melbourne, arriving at approximately 5.00pm, completes a charming weekend in beautiful northern Victoria. 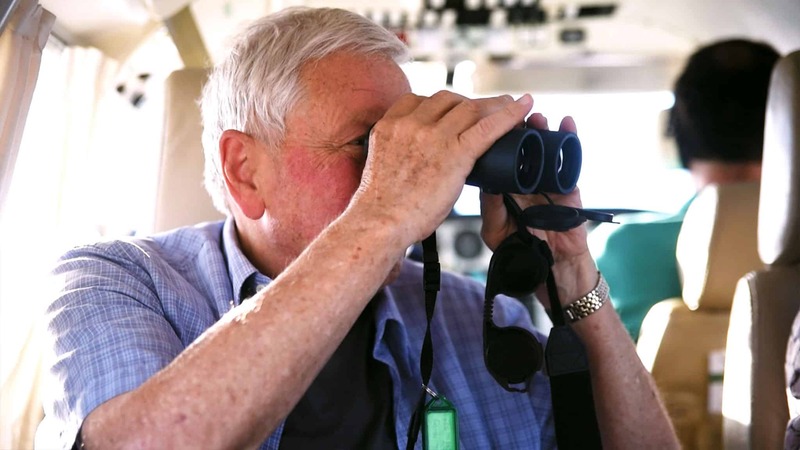 Yes, please send me a PDF copy of the itinerary for "Murray River Overnight Cruise & Wineries"